This daltile identity 8 in. x 20 in. 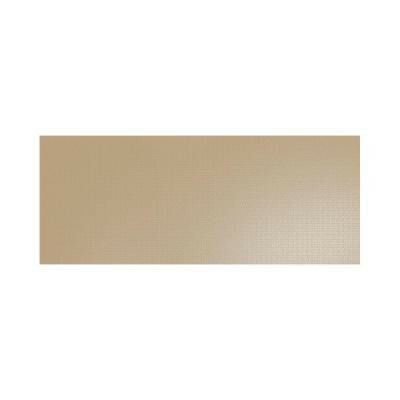 Gloss imperial gold ceramic accent tile, which comes in a handsome gold color and features a low sheen and a glazed finish, makes it easy to enhance the appearance of your walls and countertops. This accent tile is constructed from durable, chemical-resistant ceramic material with a non-vitreous water absorption rating that makes it suitable for use in indoor applications only. You can buy this product in our internet market. We will be glad if you make the right choice.